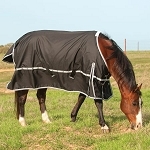 We carry high quality winter horse turnout blankets. If you are looking for waterproof blankets, durable turnout blankets, breathable blankets, or blankets with hoods then look no further. 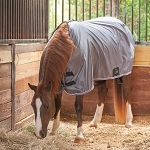 We are currently carrying Rambo, Amigo, Rhino, Classic Equine, and Professional Choice/Equisential blankets. The great thing about these horse blankets are that they are made and designed to be outside in the elements of the cold winters. 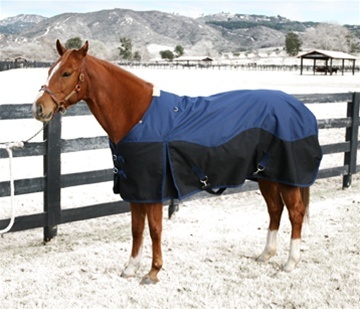 The durability of turnout blankets allow horse owners to let their horses roam outside during the winter months and not have to worry about the blankets that they have on their horses. Your horses will be able to get excercise and not be locked up in the stall 24/7. Be sure the consider the waterproof turnout line of blankets that we have. 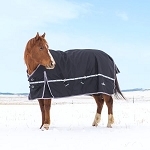 If you do have your horses outside letting them get some excercise and it starts raining or snowing - you will have the piece of mind that even though your horse is out in the rain or snow they are still warm and dry under their waterproof turnout blanket.